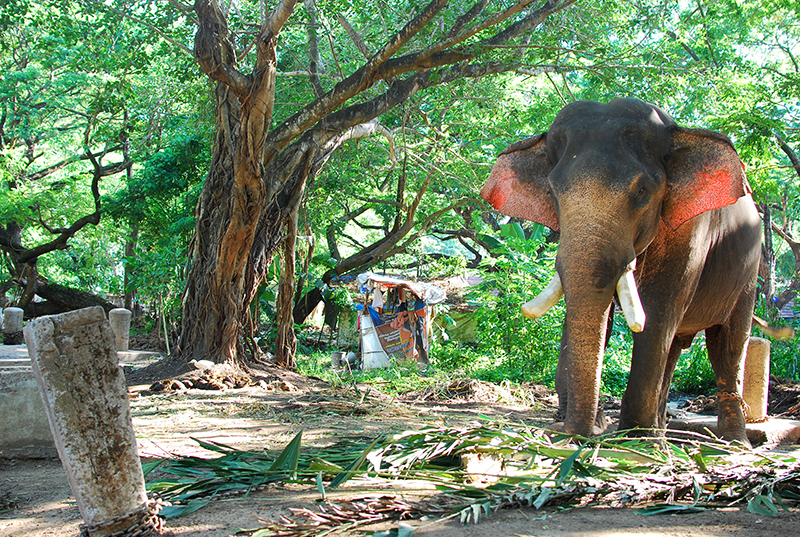 Located near Guruvayoor temple in Kerala, is a unique elephant sanctuary Punnathurkotta. 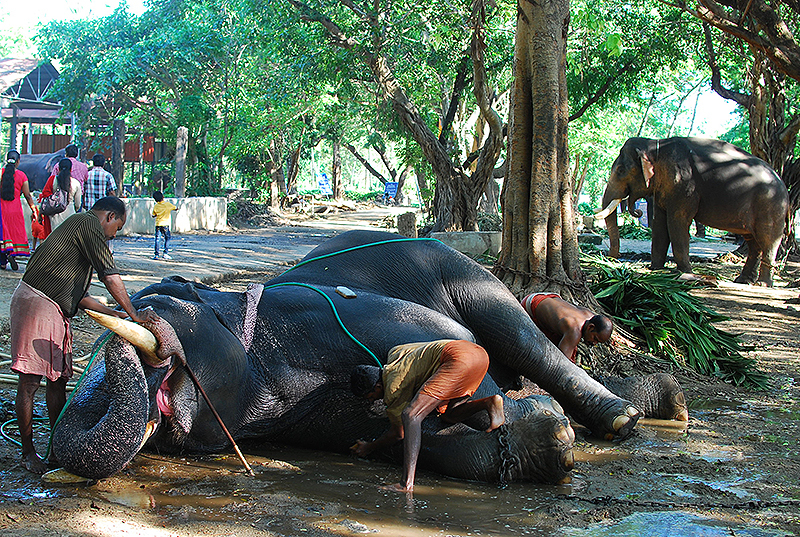 If you are an elephant lover, this is a place you must visit. 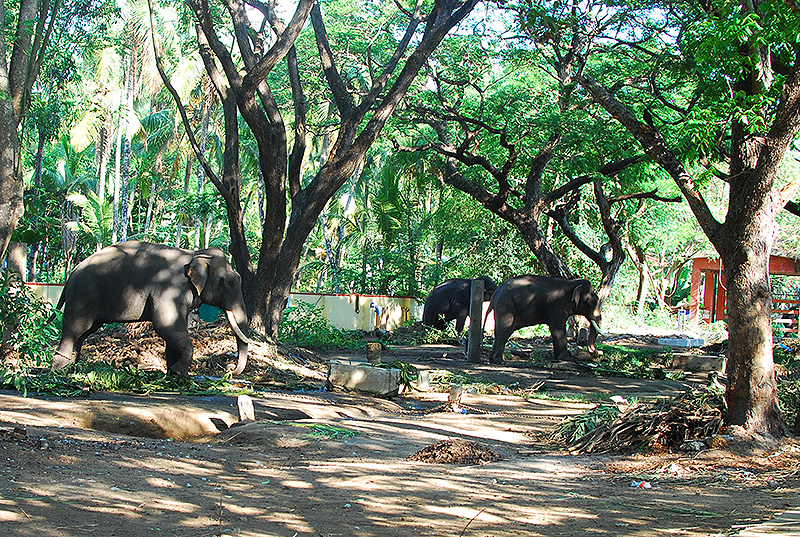 It houses about 50-60 elephants (the sad part: they’re all chained), and takes about an hour at max to explore. 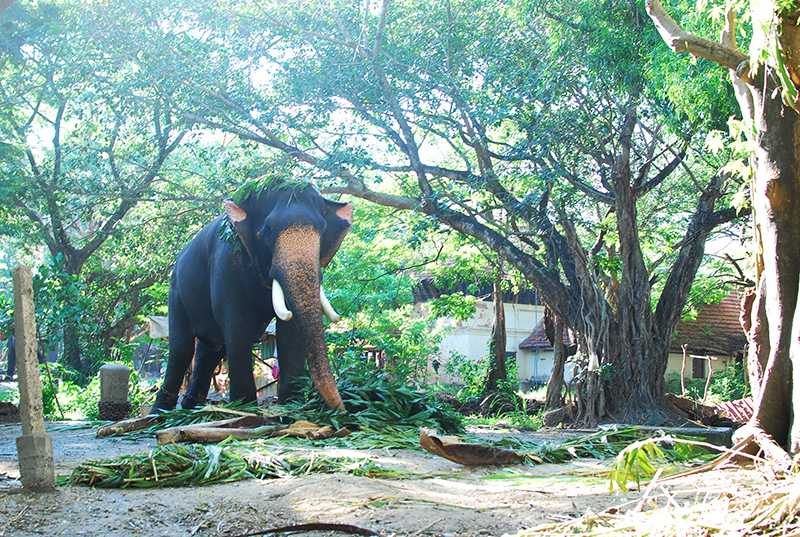 These are elephants that take part in temple rituals.